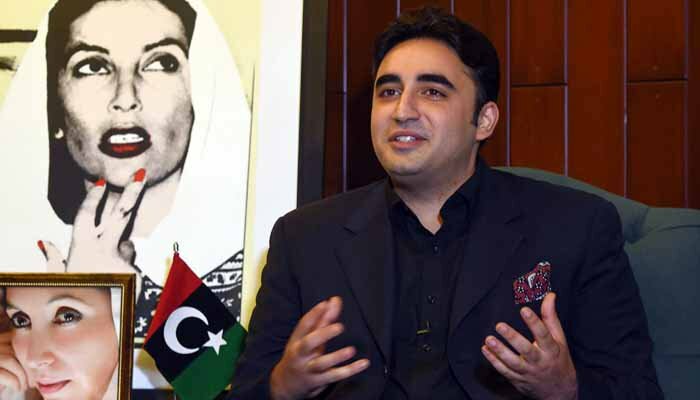 ISLAMABAD: Pakistan People’s Party (PPP) Chairman Bilawal Bhutto has said that his party asked Pakistan Muslim League-N (PML-N) leader Nawaz Sharif to get rid of former military ruler General Ziaul Haq’s contaminations from the constitution but he did not agree. “Now he (Nawaz) is suffering because of his refusal to implement the Charter of Democracy (CoD) and decontaminate the constitution,” he said while talking to a delegation of the party workers from Faisalabad and Sargodha who called on him at the Zardari House here. Bilawal said that Nawaz Sharif and Pakistan Tehreek-e-Insaf Chairman Imran Khan were two sides of the same coin. On the occasion, he said that the workers who believe in the philosophy of the late Zulfikar Ali Bhutto and the late Benazir Bhutto were his strength. “PPP is a party of labourers, farmers, students and hard-working masses,” he said. he said that only those would remain in the party who feel the pain of the downtrodden masses, want to eradicate poverty, ignorance, and hunger. “Our party provides jobs to the jobless whenever it comes into power,” he pointed out. He also said that the doors of the party have been shut forever for those who have left the party.